In 2016 Wells House, Inc. is celebrated 40 years of service to Washington County. Wells House originally opened in 1976 to twelve struggling alcoholics and since that time have offered life changing substance use disorder treatment and provided hope for the future to over 6,500 men and women in Washington County. We are proud to continue to provide this critical service to our community. In addition to Residential, Intensive Outpatient and Outpatient substance abuse treatment, we provide GED education and testing, life skills and parenting classes for our patients. We also provide assistance with referrals for housing, employment, advanced education opportunities, financial and legal issues as well as community referrals for mental health. While in treatment our patients become valuable members of our community as volunteers by helping our neighbors and our local non-profit community. In the fall of 2015 Gale Recovery of Frederick County joined the Wells House family. Gale Recovery also celebrated 40 years of service to the Frederick Community in 2016. The humble beginnings of the Frederick program mirrored that of the Wells House. It was a perfect fit for both organizations that has led to a significant expansion of services in Frederick which now offers residential services in 6 houses (up from 2 in 2015). Wells House@Gale Recovery moved into new treatment and administrative offices on E. Patrick Street in the fall of 2016. 2017 will bring the addition of mental health services to those patients with co- occurring substance use/mental health issues. In our role as a leading non-profit provider of addiction treatment services in Western Maryland, we are aware that treating the family, not just the patient is critical. We offer family support through our “Friends and Family“ programs. In 2015 Wells House entered into a partnership with the University of Maryland, Department of Psychiatry to offer tele-psychiatry for our patients. This is the first program of its kind in the state. The patients who are in need of this service are recovering from opioid addiction using medically assisted treatment, specifically Suboxone and Vivitrol. Western Maryland, a predominately rural area, has a limited number of doctors authorized to prescribe these medications and a wait list of up to 3 months for an initial appointment isn’t unusual. We believe that those patients who benefit from medically assisted treatment have a better chance of recovery if the treatment is available in the earliest phases of the recovery process. This partnership enables us to provide these services patients that they would otherwise be unable to receive it on a timely basis. This is another important tool in the work that we do. We are committed to increased efforts to bring awareness of our local substance abuse issues to our communities. One highlight of these efforts will be to continue to host local Town Halls, opening dialogues about the “Problems and the Solutions” of the deadly opioid and heroin epidemic that is impacting our community. We will continue to engage students in both counties that we serve in discussions about the dangers of substance and we will continue to partner with other local agencies in the prevention of substance abuse through awareness of the issues surrounding it. 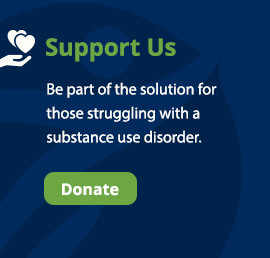 Our mission continues to be providing safe, effective substance abuse treatment to our patients and bringing awareness of “The Problems and Solutions” surrounding substance abuse to our community to help save the lives of our children and loved ones who are so very vulnerable to the disease of substance abuse.